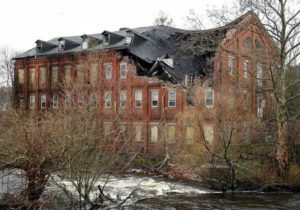 The University of Maine System is rolling out the bulldozers to rid itself of run-down and underused buildings and reduce its oversized footprint. During its regular meeting on Monday, the board of trustees approved a plan to use about $10 million in bond proceeds to tear down 300,000 square feet of buildings. That accounts for nearly 3 percent of the system’s overall 9 million-square-foot building footprint. It marks the seven-campus system’s largest and most concerted effort to downsize since a report found the universities had more space than they needed, and many of those spaces were in dire need of costly maintenance, renovations or destruction. Sightlines, the higher education facilities analysis firm that released the 2011 report, has been working with university system administrators in the following years, releasing periodic updates of the system’s progress. Since that initial report, UMS has removed about 250,000 square feet of dilapidated or outdated buildings. The slate of demolitions approved Monday will more than double that. The most prominent buildings slated for destruction are a pair of vacant dormitory towers on the University of Southern Maine’s Gorham campus, Dickey Wood Residence Halls. Trustees will have to give approval for individual demolition projects at future meetings, and campuses are still determining which of their buildings might come under the wrecking ball. 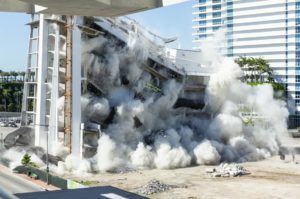 UMS officials said these buildings cost about $7 per square foot to operate and maintain each year, and demolishing the spaces should save about $2.3 million each year. Sightlines is expected to release another update regarding the state of campus facilities this spring. .